If you agree that salad is a must for healthy living and should be part of your daily meals, then read on. Saladshooter: The Presto 02970 Professional Saladshooter is here to make things a lot easy for you. 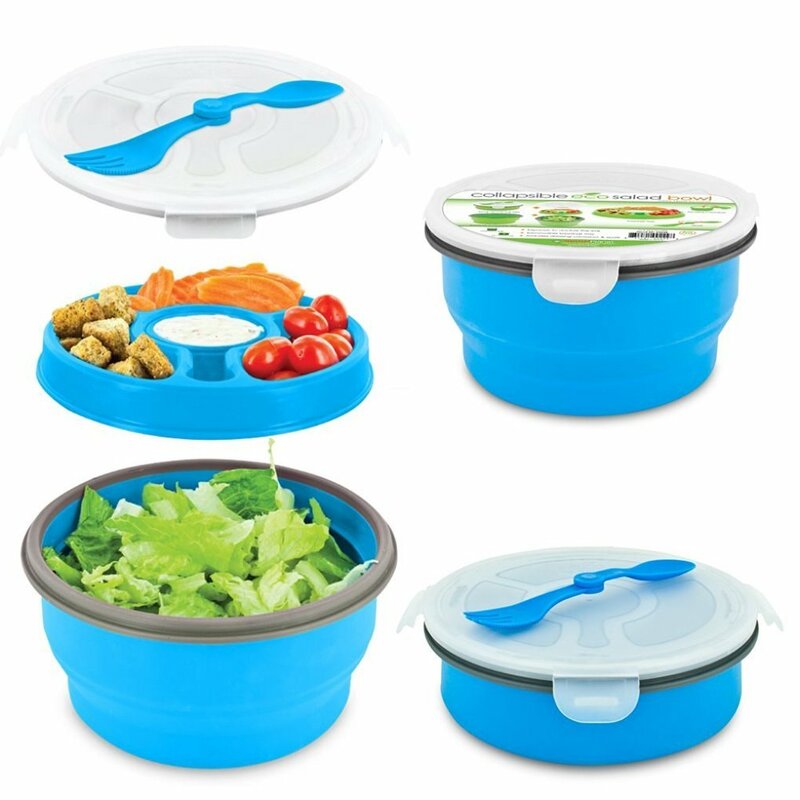 It comes with interchangeable cones and gives you prepped food right onto the serving plate. 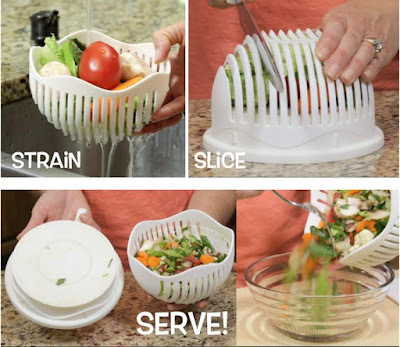 So no more cleaning extra dishes, knives, or graters. 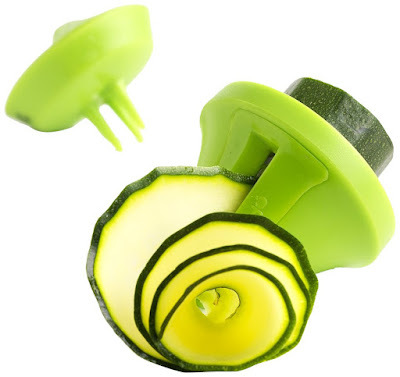 This motorized tool is going to make salad an integral part of your meals. 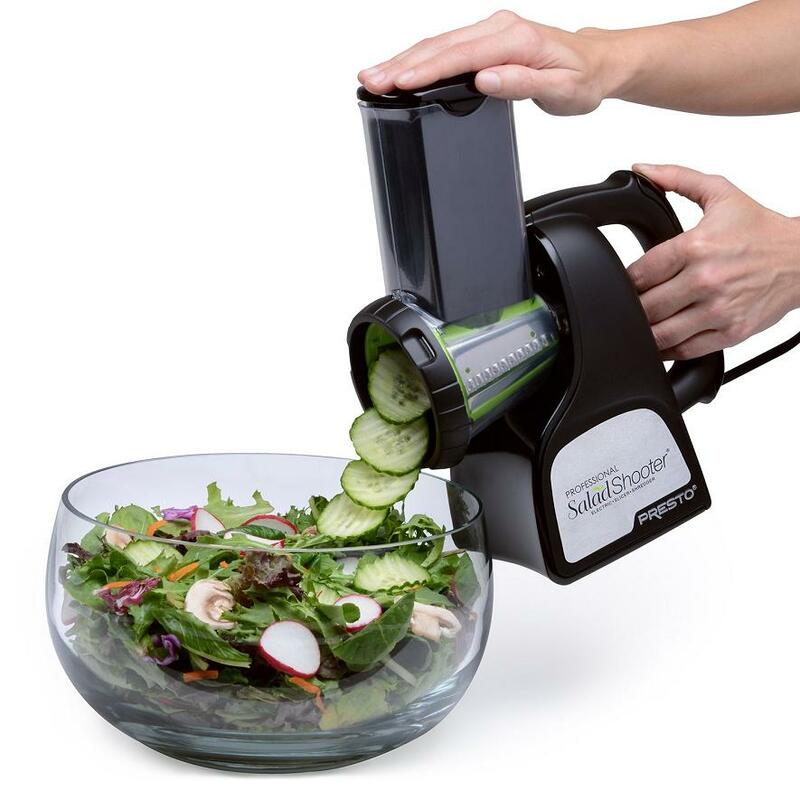 60 Second Salad Maker: The 60 Second Salad Maker is an awesome kitchen gadget that lets you rinse, chop and serve almost any salad in seconds. 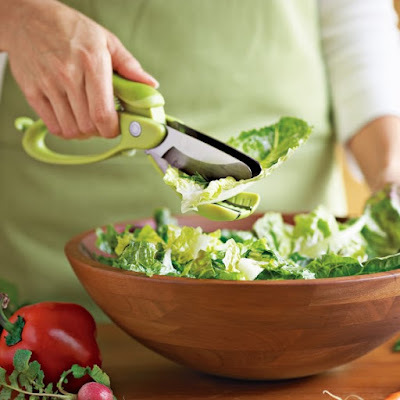 Toss and Chop Titanium Salad Scissors: The Toss and Chop Titanium Salad Scissors is a handy tool for fast-track preparation of chopped salads directly into a serving bowl. 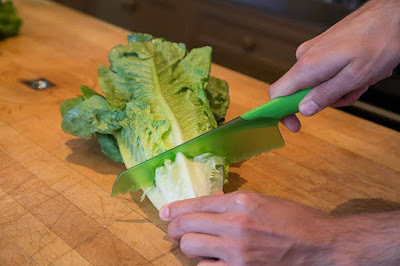 Lettuce Knife: So why do you need this lettuce knife? 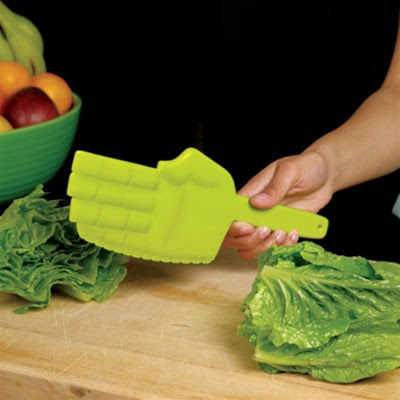 You need this because its plastic blade prevents lettuce from turning brown. Deco Veggie-Slicer: The Deco Veggie-Slicer creates 3 different cuts and gives you an easy and fun way to enjoy more vegetables. 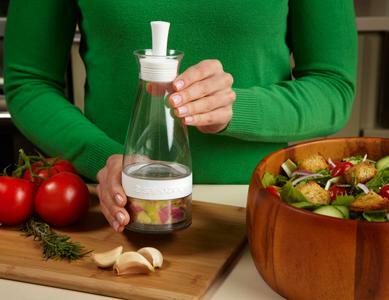 Salad Zinger: With Salad Zinger you can make the Italian dressing, or orange vinaigrette or a peach balsamic salad dressing and more. 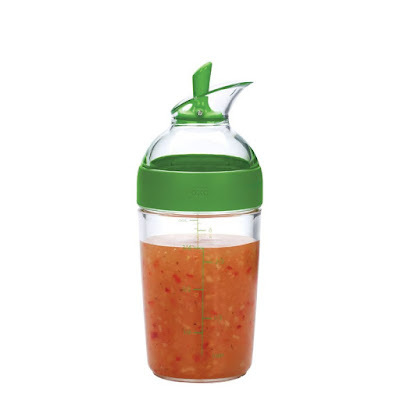 All you got to do is pour your ingredients to the grind cup (onion, citrus, garlic, spices, fruit, and more), pour in olive oil and vinegar, shake, and you are done. Little Salad Dressing Shaker: The Little Salad Dressing Shaker is just the thing you need for making, mixing, serving and storing dressings, sauces and marinades. Foldable Salad Bowl: The Foldable Salad Bowl is made to hold even the largest salads. Its detachable tray keeps ingredients separate until ready to serve, and its detachable cover keeps food sealed inside each separate container while its condiment container stores your favorite sauces and spread. When not in use, it compresses to 1/3 of the size for easy storage. Salad Spinner: The Salad Spinner is easy to use, comes with patented pump mechanism and brake button. 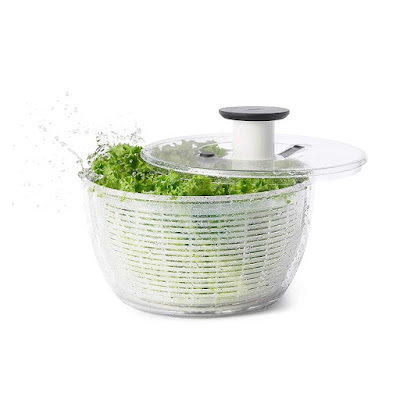 Its clear bowl is perfect for serving while its basket doubles up as a colander. 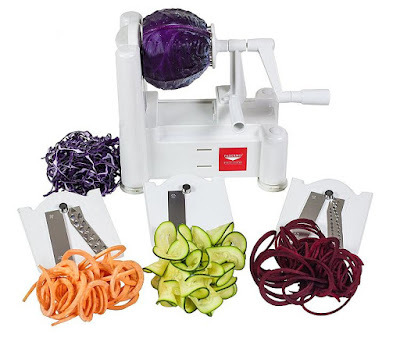 Vegetable Slicer: The Paderno World Cuisine 3-Blade Vegetable Spiralizer cuts vegetables and fruits into curly, ribbon-like slices. 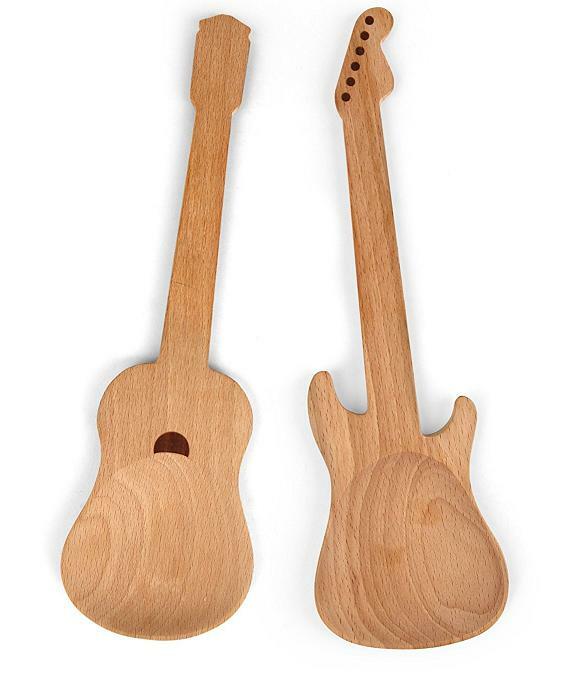 Guitar Salad Servers: These acoustic and electric guitar shaped wooden spoons are perfect to use with salads.